Use any type 3mm and 4mm beads (round beads, fire-polished beads, glass pearls, bicone crystals, gemstones etc. 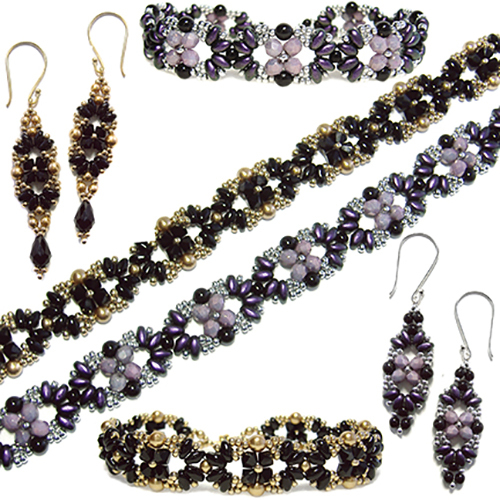 ), SuperDuo beads and size 11/0 seed beads to create this bracelet and matching earrings (with and without a drop bead). Matches the Eclipse Necklaces pattern.